The shirt was seen at the outset of the week. A simple club collar (also called golf collar) done up in a 1930's stripe dug out of the Brook's Brothers fabric archives (what a great idea). Well made and fairly expensive until they went on sale for $45. The sleeve cuff is adorned by an affected (to me) double button cuff but it's passable. Perhaps I'll leave one unbuttoned. No pattern matching at sleeve to yoke but what do want for $45? 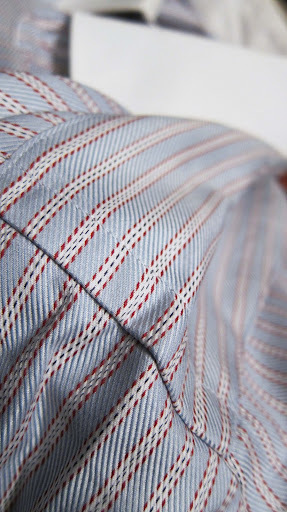 There is a split yoke in the back that you see on finer English shirts. I've always liked the detail and it's rarely seen on shirts in the states. 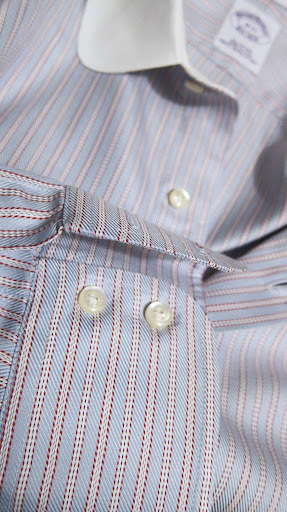 The narrow collar opening demands a smaller knot tie but this adds to the whole 1920's echo. 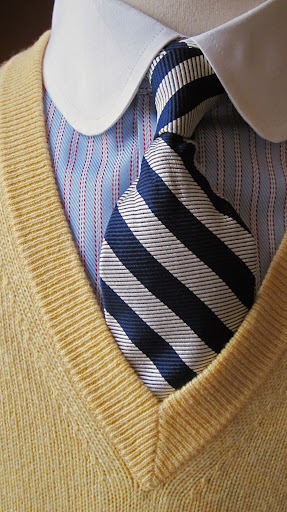 A contrasting bow tie in a yellow foulard picks up on the primary colors. A natural linen sport jacket with patch pockets is my favorite pairing. I wore a DB navy blazer and white ducks and Bucks with this shirt and tie in Bermuda at a film festival dinner. A reporter from Switzerland asked me how long I had lived on the island. I was so happy. Keep an eye out for unusual shirt colors and collars. Often they'll wind up on the sale table. Greens, yellows, purples. Club, tab and spread collars. They're fun to experiment with and the cover charge is affordable. A man can handle only so much blue oxford. I still can't get over the fact your own a mannequin (not sure if this is the proper term). That right there is some true badass stuff. Remember the '80's when girls dressed like boys? 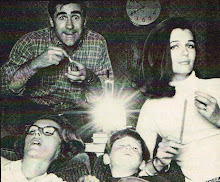 I actually had a few club collar shirts from BB's (gingham & stripes) in my armoire. Worn to I-bank interviews with horrible silk bow ties and a glen plaid BB suit (kilt pleated skirt). Here, here about the amount of blue oxford a fellow can swing. 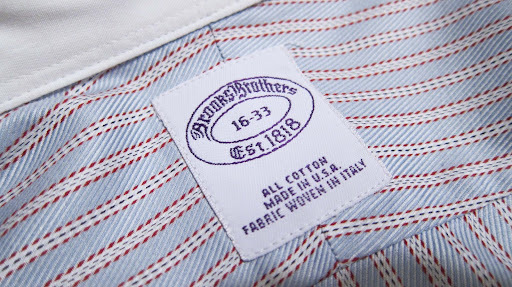 Ever wonder if the new marketing guys over at Brooks Brothers have any idea of the fact that have decimated what once one of the worlds most loyal customer bases? "Ever wonder if the new marketing guys over at Brooks Brothers have any idea of the fact that have decimated what once one of the worlds most loyal customer bases?" .....Actually this was accomplished by the Marks and Spencer's crowd that owned the business from the late 80's to about six years ago......the new owner who is an Italian sunspec heir has done a pretty good job of wooing the oldsters back. I literally didn't go in the store for ten years after they tried to change it into an up market GAP but have since returned and become a fan. I've spoken to a couple of people I know there and that's the general feeling about whats happened. The affectation will be magnified if you leave one of the two buttons undone. Better to button both. "Two Button Cuff - A little too ADG for me"
LOL! ADG's style leaves something to be desired, doesn't it. Though I will admit that even ADG has his moments. The brown gun club/PoW check suit whose pants he ripped on a trunk was so nice, so tasteful, that I thought I was reading a different blog. ADG would wear a Stucky's Pecan Log if it fit. I won't be able to visit his blog until autumn, because he's brought out The Most Hideous Pants In The Known Universe for the season. Some of those make Giuseppe's GTH pants look downright dowdy in comparison. Well, they enjoy them, and I admire their willingness to go with what they like and not worry about what the rest of the world thinks.